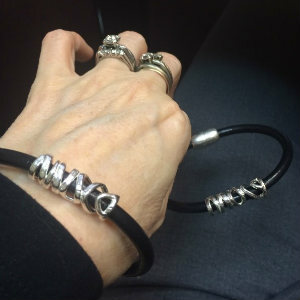 More Nice options for fundraising and flaunting your Nice style. We always have a few select Nice styles set aside for for fun and fundraising. Nice Falling Star: No need to look to the sky to catch a falling star, you hold that power within. 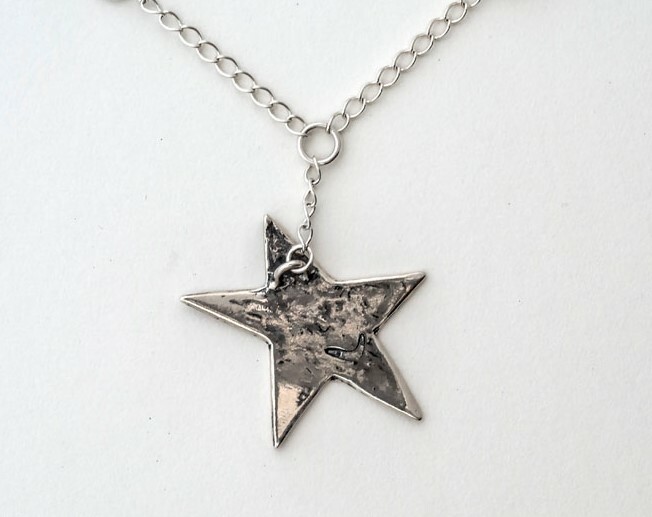 Make a wish for change and make a difference when you choose our sterling silver star. Individual price $77. Nice Dozen 14 for the price of $10. 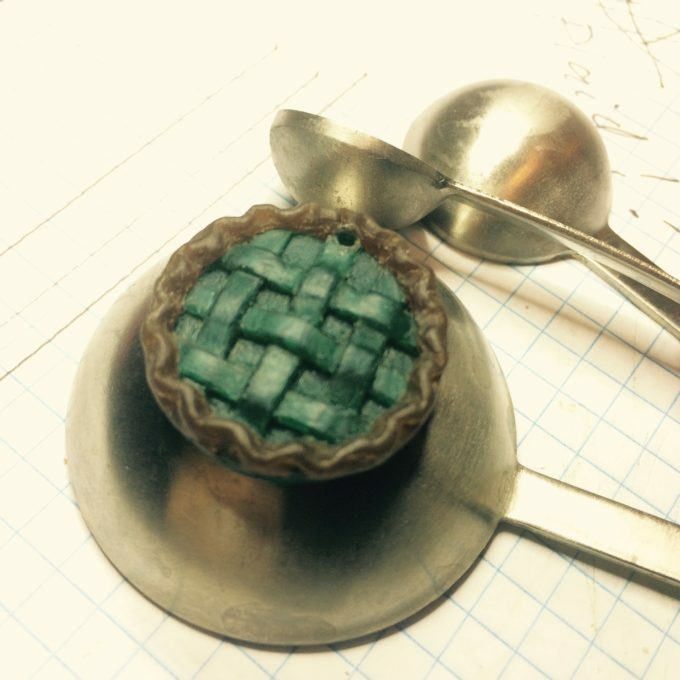 Nice as Pie: Available in sterling silver, red bronze and golden bronze. Fun for celebrating March 14th, raising funds in a calorie free “bake sale” or saying thanks to that sweet special someone. 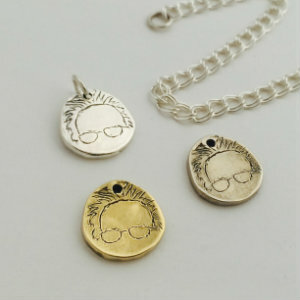 Sander’s Silhouette: Feel the Bern in sterling silver when a hat or T-shirt just won’t do. 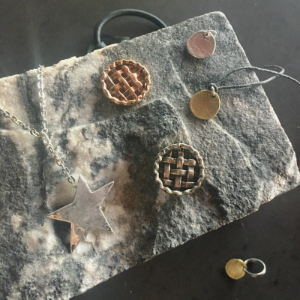 $22 for individual sales, email Jill@aNiceWorld.com to order a Nice Dozen ($14) or a 100-pack of silver or bronze tones for custom DIY fundraisers. These will be priced at market rate for silver/bronze plus shipping. Always, all profit from Sanders sales at A Nice World are donated to Our Revolution. Secret Message Spirals: Twirl to reveal the word “Nice” on a Secret Message Spiral. 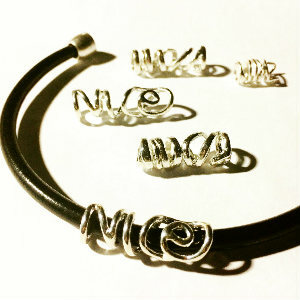 Custom spirals are really fun and I’d love to create a custom spiral ring. MOCA example featured here. To learn more about these and other fundraising items at A Nice World please email Jill@aNiceWorld.com.